Philippe Legrain – who was personally headhunted by Commission president Manuel Barroso, below, in 2011 to advise him on economic strategy – gave a damning condemnation of what he said amounted to “bullying” by the EU. “It was outrageous of Germany, the European Commission and above all the ECB to threaten to force Ireland out of the euro if it did not follow through with that foolish guarantee, lumbering Irish people, who have already suffered enough from collapsing house prices and a sinking economy, with a €64bn bill to bail out bust banks, €14,000 for every man, woman and child,” said Mr Legrain, who left his job at the Commission earlier this year to release a book condemning the EU’s handling of the financial crisis. “Ireland’s partners abused the fact that it desperately wanted to be part of the euro”. “I understand why the Irish government did what it did (agreed to implement a bank guarantee) but they could have stood up for themselves . . . the European Central Bank would have blinked,” the former London School of Economics academic added. Ireland’s only chance to mitigate some of this damage is by getting some of its legacy bank debts written off, he said. The Department of Finance has not made any progress on this issue so far, despite repeated promises of a deal by Finance Minister Michael Noonan. “The State must use any leverage it can to negotiate a write-off,” he said. “Its best weapon is any proposed changes to EU treaties – because Ireland constitutionally has the right to hold referendums on these changes and can use this as a bargaining tool.” Any decision that Germany really wants which requires a unanimous decision from all member states could be used as leverage, he said. “Ireland needs to play hardball now. It’s in a much better position, borrowing at record-low borrowing rates”. Mr Legrain said the eurozone has been built along German lines. “The Commission has failed in that it has been much too keen to align with Germany,” he said. Fundamental flaws in the European banking model still have not been resolved seven years after the crisis emerged, he added, and the much-hyped stress tests due to be carried out on banks later this year are unlikely to help. The equity/debt ratios these stress tests look at are far too low, he said, adding that the ECB, which will soon take over the direct regulation of big banks like Bank of Ireland, AIB and Permanent TSB, is a deeply flawed organisation. Legislation designed to wind down banks and prevent a “too big to fail” situation is also flawed, he said, because national governments still have the right to veto the forced closure of banks in their jurisdiction. Today’s Irish Independent has an article by Katherine Donnelly on a series of problems with and errors in the exam & marking scheme in last year’s Leaving Certificate (Higher) Economics paper. It is on foot of an independent assessment I made of the paper/marking scheme. I initiated this in June when a problem with this year’s Higher Maths paper was uncovered (the 2013 Economics paper had not been sat at the time). Kevin Denny points out here a major set of problems. There are technical problems with wrong or irrelevant answers ; there is an underlying problem with an outdated syllabus. One hopes that this dissection will receive the same treatment as that which was afforded the math exam when problems in it were brought to light. Somehow I doubt it. Following the problems here and in Math, one wonders also : what other subjects have 44y old syllabi? More immediately, what other exams might, if gone through in detail, show up issues in interpretation or errors? Chemistry? History? Physics? The response from the State Exams Commission has been underwhelming to say the least. It seems to amount to “no problem here because we say there is none”. This isnt good enough. At the very least Kevin deserves to have his questions answered in full. The 3800 students who sat economics at higher level also deserve this. 04/02/2013 It is hard I am sure for Americans to fully comprehend the disaster that played out in the recent Cypriot Euro debacle. Irish property speculators fear for cash in Cypriot account. “A group of up to 30 Irish property speculators have been left sweating on their investments due to the Cypriot bailout crisis. The group, mainly Irish nationals living in the Middle East, all invested in a fund to take advantage of the collapse in property prices back home in Ireland. Under the scheme, each invested €20,000 or more with a property consultancy, which has been seeking to snap up cut-price Irish properties whose value is likely to increase in the coming years. A further 20 British nationals are also thought to be involved in the scheme. Investor funds were placed in a Cypriot client account. However, the account cannot currently be accessed after banks on the Mediterranean island closed their doors last weekend. And hundreds of thousands of euros could be wiped off the value of the fund should the Cypriot government cave in to pressure from the EU and IMF for a levy on bank deposits as part of a bailout deal. Richard Jones (37), a project finance consultant from Ballyhaunis, Co Mayo, who is involved in the scheme, flew in to Cyprus earlier this week in an attempt to withdraw the cash before any proposed levy on the account. 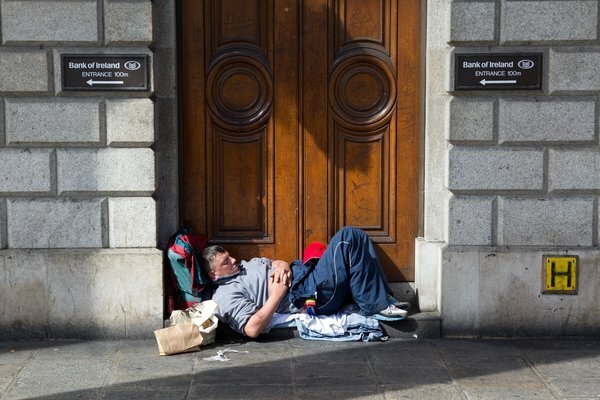 “I came over yesterday because the banks were due to reopen, but they didn’t,” he told the Irish Independent. He said the clients’ funds were held in a Cyprus bank because the country “has been seen as a gateway for investment from the Middle East into Europe”. “Most of my investors are very small — around €20,000. But it is a lot of money to them. They are mostly Irish and British expats living in the Middle East and they see value to be had in Irish property now,” he said. Mr. Jones said he believed the current crisis signals the “beginning of the end for the euro”.